Some reviewers have stated that if your dog has cancer, you need this book. I’ll go one step further and say: if you own a dog, you need this book. The majority of dog owners will be forced to deal with the heartbreak of losing a dog to cancer. In fact, if you subtract euthanasia, cancer is the number one killer of dogs. I can honestly say that I wish I’d had this book years ago. I’ve lost three dogs to cancer, one only a few weeks ago. When my review copy of The Dog Cancer Survival Guide arrived, I was a bit intimidated by the sheer size of the volume. I began to quickly flip through, thinking I’d set it aside to read later. I found myself compelled to sit down and begin reading right away. I’d fully expected it to be a downer, but it is the opposite. As I read, I felt empowered by not only the detailed information, but the upbeat tone of the book. A massive compilation of medical and scientific information could be dry, boring, and over whelming. It’s not. The Dog Cancer Survival Guide is written in clear, straightforward, conversational layperson’s language. You’ll find everything you wanted to know but didn’t know to ask about canine cancer veterinary treatment, both conventional, as well as holistic treatment options, including botanical nutraceuticals, supplements, nutrition and mind-body medicine. In addition, there’s a section devoted to how to work with your veterinarian to develop an individualized treatment plan for your dog. This book has a wonderful balance of factual information about various forms of canine cancer and their treatment, plus a healthy dose of psychological and compassionate support for dog owners. The organization of The Dog Cancer Survival Guide is excellent and intuitive. Each chapter includes flagged side notes which range from comments from Dr. Ettinger, examples of true stories of dog’s with cancer, further information and more. Dr. Demian Dressler is a general practice veterinarian in Maui, Hawaii, who first published The Dog Cancer Survival Guide as an eBook sold to readers of Dr. Dressler’s blog www.DogCancerBlog.com. 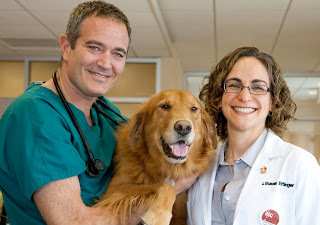 Dr. Susan Ettinger is a veterinary oncologist at the Animal Specialty Center in New York City. 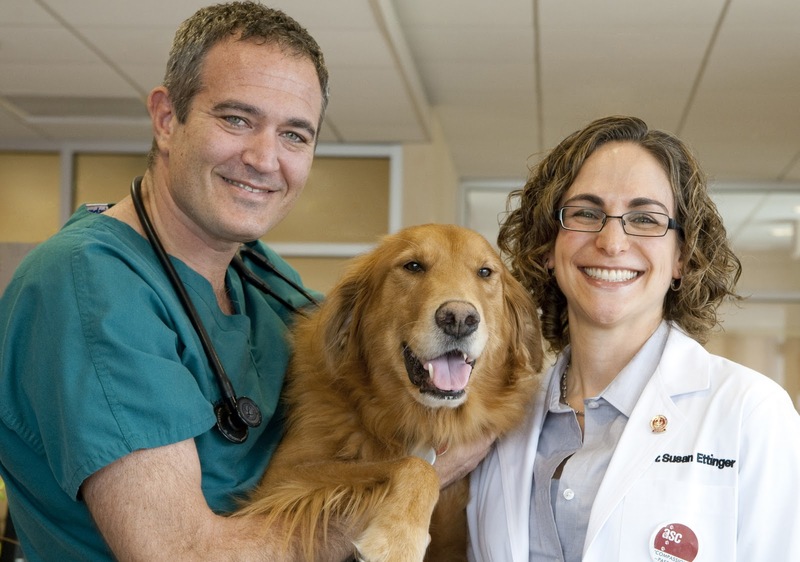 They first met at The College of Veterinary Medicine at Cornell University in the 1990’s. 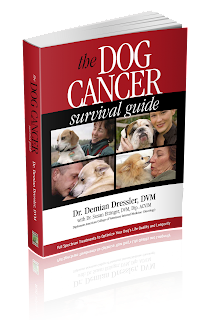 In The dog Cancer Survival Guide they’ve taken their decades of clinical experience and thorough research of the current literature to explain dog cancer for the lay person. Talking Dogs recommends this book without any reservation. What a wonderful holiday gift this would be for anyone who lives with dogs. 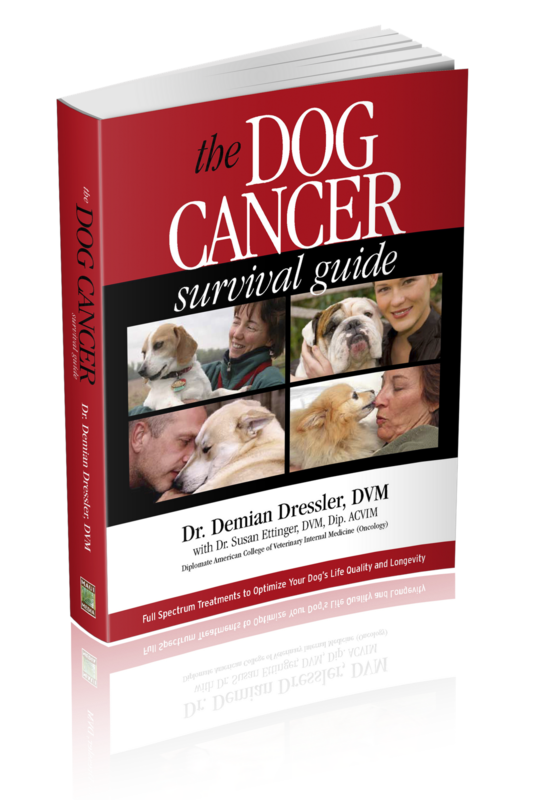 Fetch a copy of The Dog Cancer Survival Guide today at Amazon, Barnes & Noble, Kindle or Nook. Fetch a look at The Dog Cancer Survival Guide Table of Contents on our Good Reading page. Thank you for the letting us know about the Dog Cancer Survival Guide. Good to know it is there for reference.